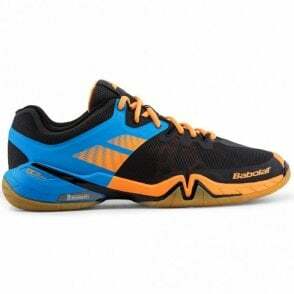 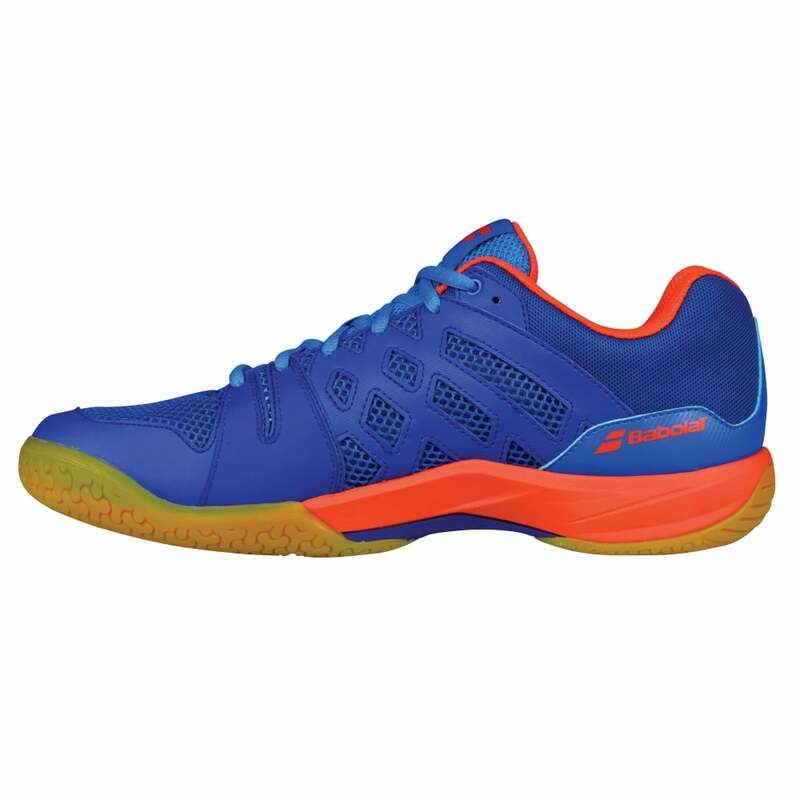 These mens Babolat badminton shoes (new for 2018 in blue/orange) are the ideal footwear for any badminton player due to the lightweight shoe that offers great support and cushioning at an affordable price. 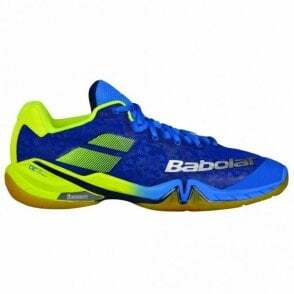 5 Technologies - HTS 360°, Michelin OCS, Spring VK, KS and Spring Flex. 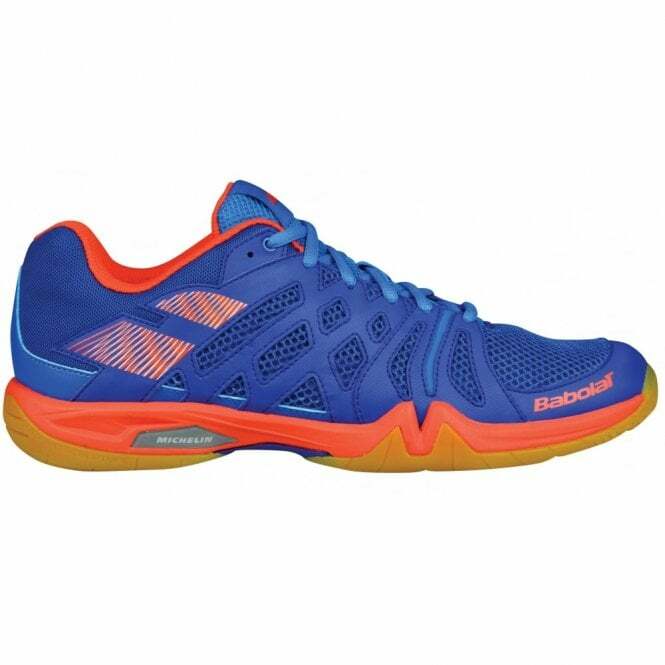 Active Sculpture - tri dimensional grip designed with Michelin for exploive movements & sudden stops. Spring Flex System -VERTICAL REBOUND & FLEXIBILITY - A spring effect on the outsole allows excellent rebound vertically. Michelin OCS - Babolat outsoles are specially designed to give players the highest performance over a longer period - designed with the R&D department at Michelin. 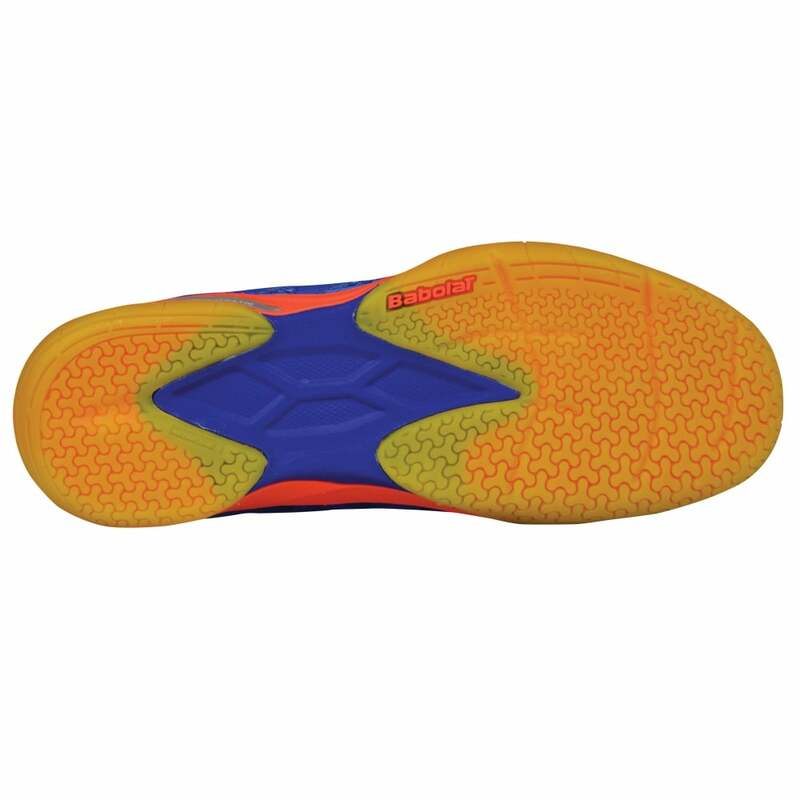 Kompressor System - The innovative heel system is made with EVA cushioning and TPR (Thermo Plastic Rubber) filled tubes inside the rubber. 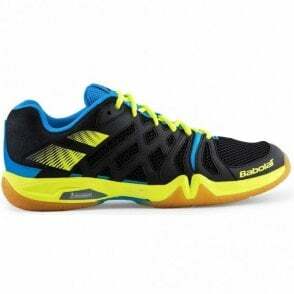 Thanks to the compression effect, when the heel hits the ground, the energy is absorbed and redistributed along throughout each tube for optimal shock absorption and comfort. At the end of the impact, the tubes regain their original shape and restore the energy for an ultra dynamic response. 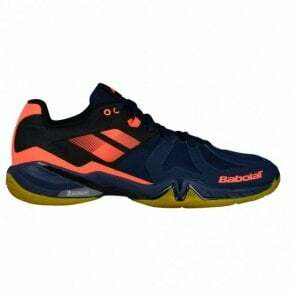 We feel that the mens Babolat Shadow team badminton shoe 2018 are one of the best indoor court shoes on the market at this price and well worth a try.